Not many destinations allow you to explore half of a country in such a well-rounded and varied way in just 10 days. But rest assured that you won’t just be spending your days in the car. 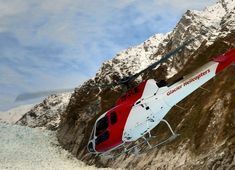 This itinerary kicks off with wildlife watching in Kaikoura and a coastal adventure in the Abel Tasman National Park and finishes with the glaciers of the West Coast and the mountains of the Mount Aspiring National Park. Without even realising it you will go from the Pacific Ocean to the Tasman Sea! With the 3 different two night stays you will be able to fully enjoy the highlights of this self-drive tour. 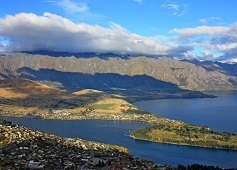 The South Island’s largest city is displaying a new invigoration after the tragic earthquake it was subjected to in 2011, and the side effects are becoming less and less visible. You won’t want to miss the unique post-earthquake shopping centre the “Re-Start” container mall. A central city B&B, who will appreciate your support as they rebuild their business. World famous for its marine life, you can choose between a whale watching cruise or swimming with the dolphins. 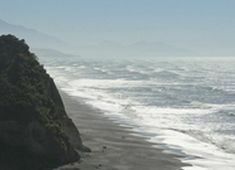 Keen walkers may wish to extend your trip by 3 days to include the stunning Kaikoura Coastal Track. The Abel Tasman is our smallest national park and also the most popular. 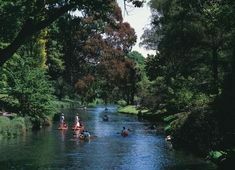 On the programme is a day adventure into the park - you can combine a cruise and walk, a kayaking trip and walk or just simply venture into the park on foot. A nice calm B&B set back from the beach. You’re heading for the other side of the Main Divide, and you’ll definitely notice the difference between the east coast and the west coast. Cape Foulwind provides a great opportunity to observe fur seals in their natural habitat. 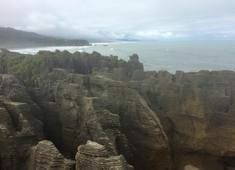 You’ll then head down the coast to the Pancake Rocks and Blowholes of Punakaiki. Even if they are slowly melting, there are some still vantage points to see the glaciers from down in the valley, we will be sure to outline them for you. If you want views that will take your breath away a scenic flight with a snow landing is the option for you. If it’s still and fine we recommend heading to Lake Matheson to snap the perfect reflection of Mt Cook and Mt Tasman, the highest peaks in the country. 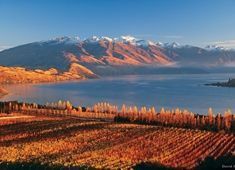 One of the most delightful towns in the country, the inhabitants of Wanaka are proud to live in the township with the best lifestyle in New Zealand. 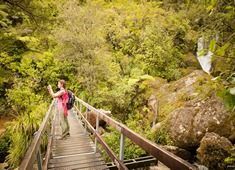 The scenery is stunning, with the peaks of the Mount Aspiring national park providing a remarkable alpine background, the road that leads to the park is well worth taking. A centrally located B&B so that you can head out to a nearby restaurant on foot just like the locals. Drop off your car at the airport and catch your flight home.